Mini Table Top Racks are designed to meet today's smaller electronic equipment footprints. Half the size of the full 19" EIA standard rack. This 10.25" width delivers the features and functions integrators demand. 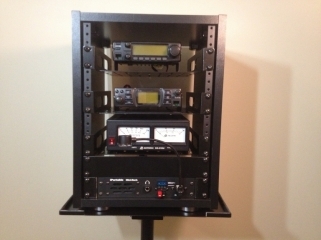 Mini Racks in multple vertical sizes for your compact rack mount needs.